Not every Austrian voter is enamoured by Kurz's youth and promises of change. Many are outraged that the traditional conservative party has again jumped into bed with the far-right to take power. It did not work in 2000, so why should it now, they argue. Many see Kurz as a dangerous opportunist. "The normalisation of right-wing extremists - that's one thing. The other issue is that we're losing hard-fought social rights which you won't get back so easily. A breakdown of solidarity in society is happening. People are being incited to turn on each other - it's not just foreigners against natives but also poor against rich," said one young woman. "I believe Austria should remain open. Clearly, we're a small country and can't take everyone in, but we should also avoid the trend of equating migrants with terrorists and generally being hostile to migration and refugees," said another young woman. 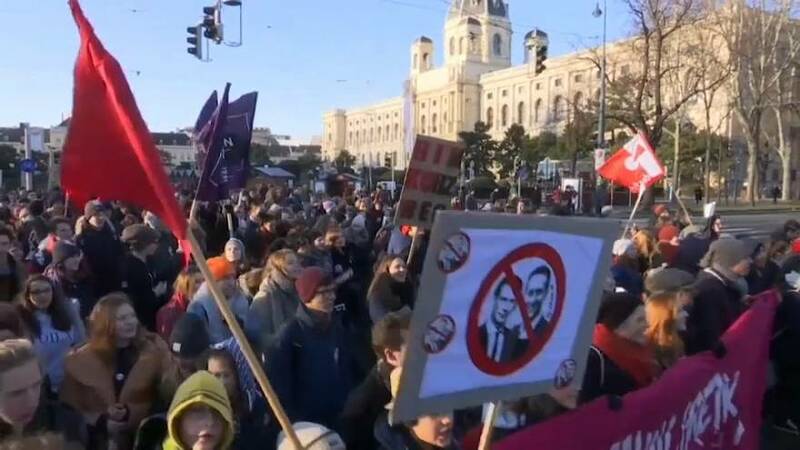 The last time the far-right shared power in Vienna Brussels stepped in with sanctions and tens of thousands protested in the Austrian capital. This time Bruussels is silent, and fewer Austrians have come out to demonstrate their opposition.